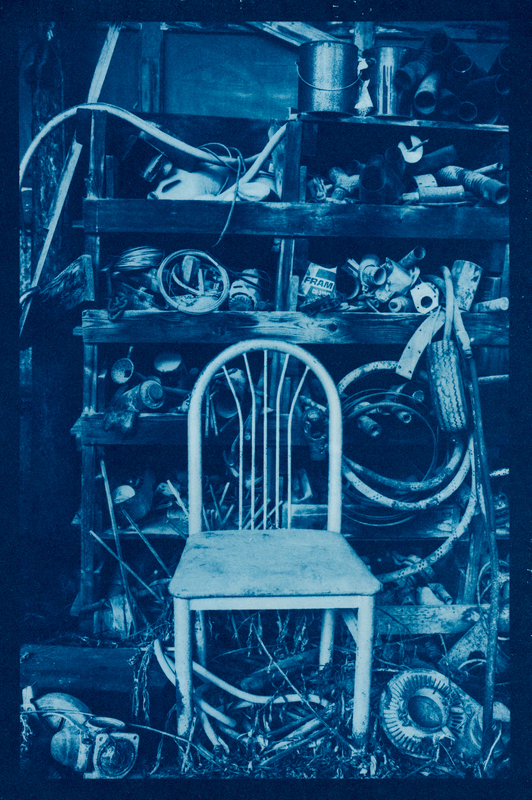 Cyanotype is arguably alt’s easiest process to learn, but that leaves room for an entire world of experimentation. 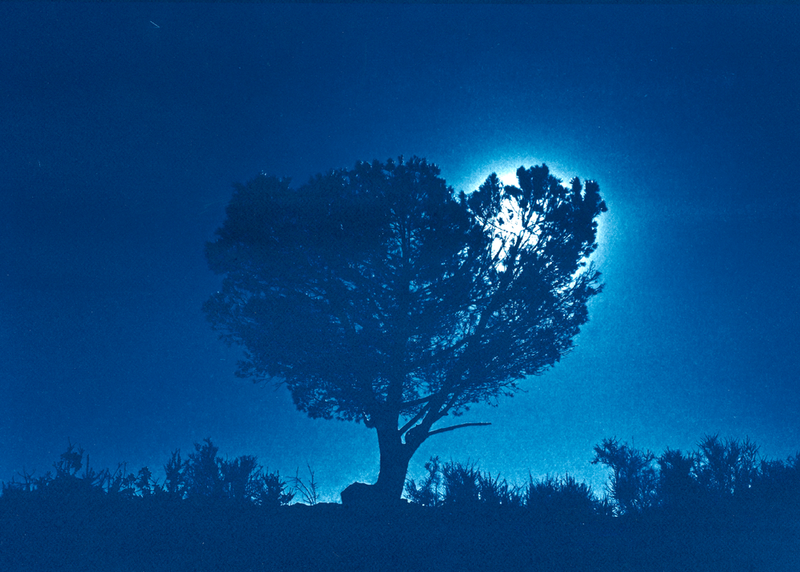 A cyanotype can stand beautifully on its own; it can be printed in combination with inkjet, gum, platinum, salt, or van dyke brown; it can be printed on paper, fabric, wood, glass, leaves, or shells; the list goes on. Since cyanotype is also the cheapest alternative process, you don’t feel cautious with a print. 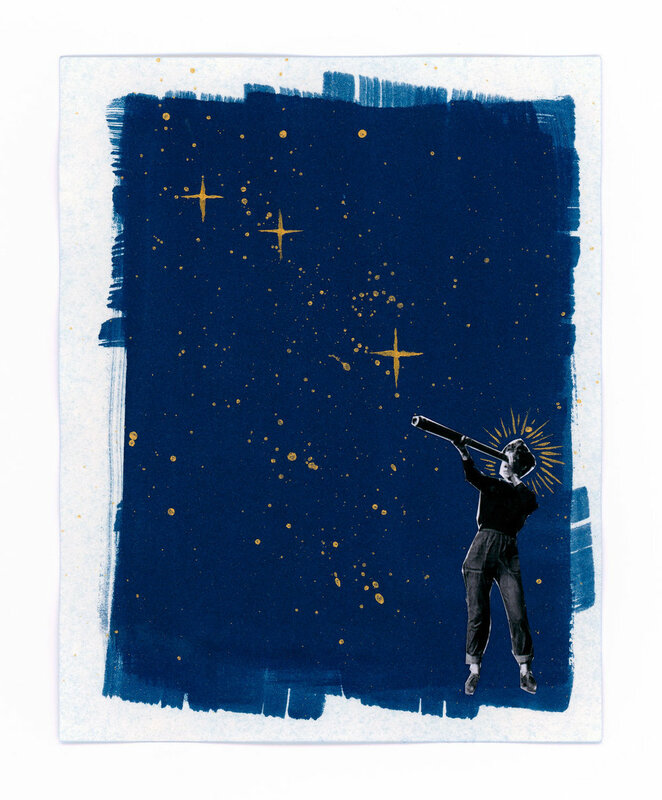 Paint a print, embroider a print, burn a print— go wherever your creative process takes you. 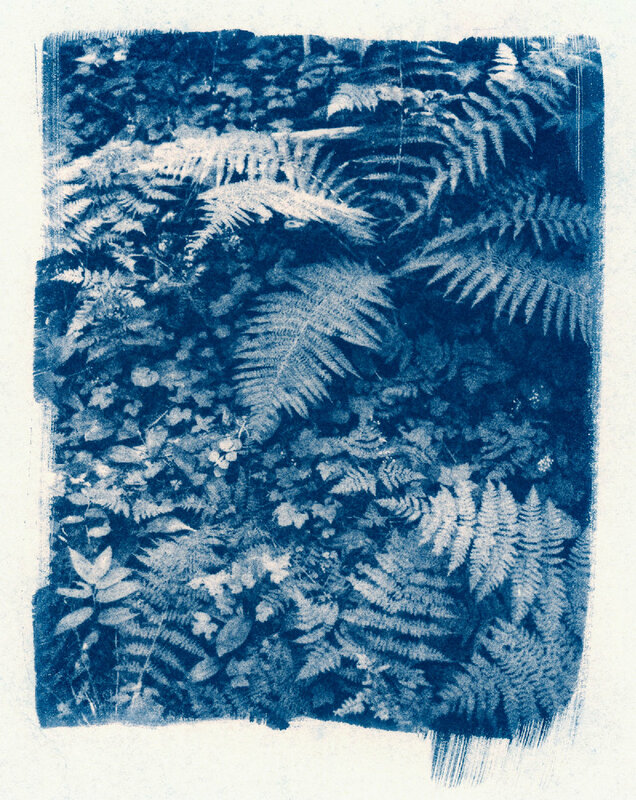 I’ve worked in cyanotype since 2016, but it honestly didn’t grab my attention for two years. 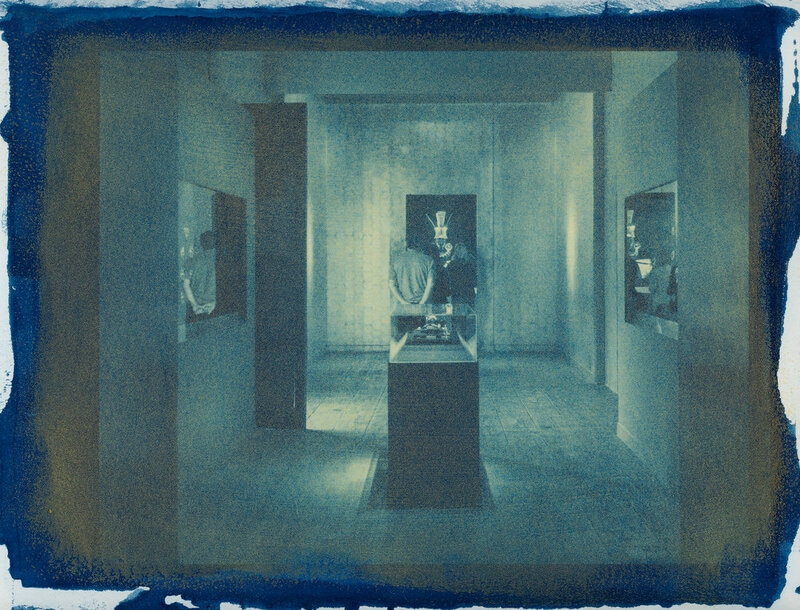 Cyanotypes were nice, but I wasn’t entirely sold on the blue (which is a common reaction). All it takes is one print that sings in blue and you’re in.